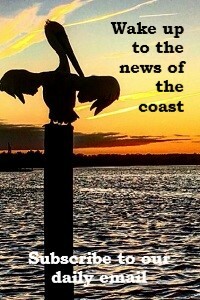 BOGUE BANKS — A friend of mine who grew up in the sleepy barrier island village of Salter Path would frequently use interesting local colloquialisms that were like secret code words. 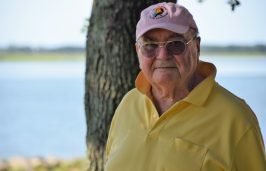 Whenever the tidewaters in Bogue Sound were higher than usual he would cheerfully announce, “The sharks are eating collards.” This meant that the tide had flooded so high into the soundside gardens that sharks could swim right in and get a bite of these leafy greens. I love this saying, it always makes me smile. 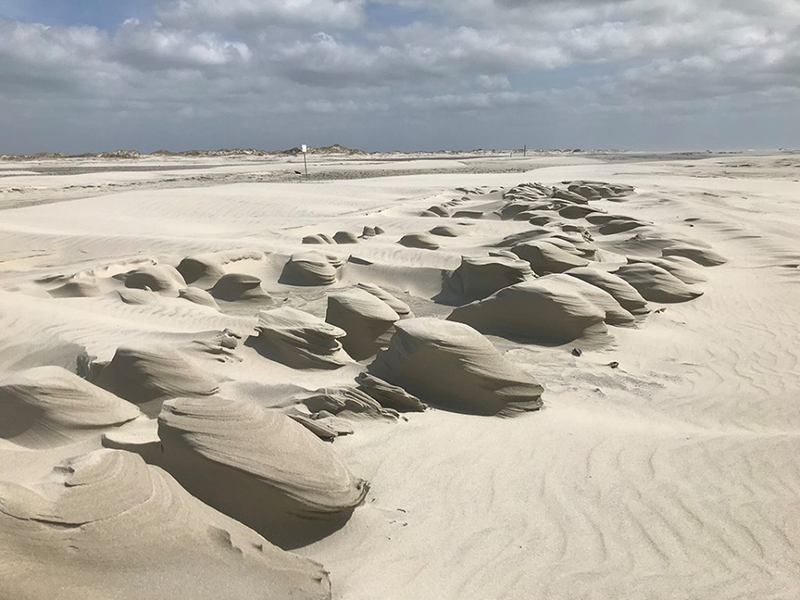 Outside of the king tide events, many low-lying coastal areas now flood more frequently during coastal storms of varying degrees of intensities. Some areas that didn’t flood in the past are now being breached. “Sunny day” flood tides are also occurring without any apparent celestial or climatic influence. 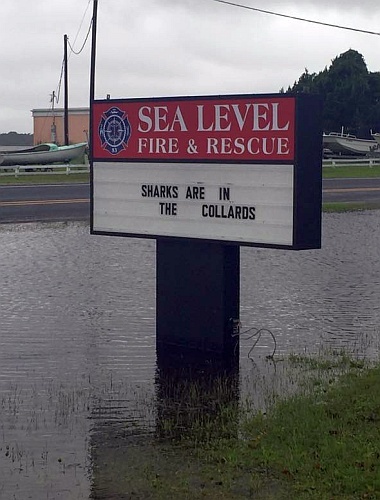 Thanks to sea level rise, it looks like the sharks will have many opportunities to feast on the collards. Global warming, or climate change, and sea level rise are conspiring to bring change to coastal North Carolina. According to the National Oceanic and Atmospheric Administration’s National Ocean Service, the global sea level has been inching up for more than 100 years and is currently rising one-eighth of an inch annually. Local sea level rise could be more or less than the global rate. The scientific community is largely in agreement that our planet is warming. As the Earth gets warmer, so do the ocean waters. The warmer water expands, creating sea level rise. Add in the melting of land-based glaciers and ice sheets and, you got it, more sea level rise. Over the years, much of the sea level rise research was focused on thermal expansion of ocean waters and glacial melting in the Arctic. More recently, scientists are now looking at what is perceived to be a ticking time bomb, the massive ice sheet of Antarctica. 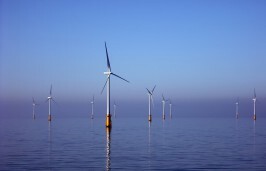 The future of our coast could lie in the windy land of the penguins. The continent of Antarctica is a land of contradictions. 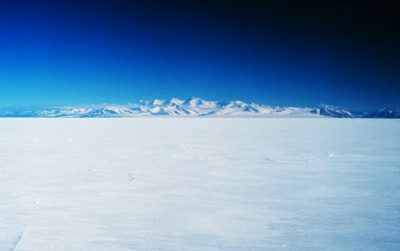 It is the coldest place on Earth, yet it has a lake that never freezes, despite temperatures that can dip to minus 60 degrees Celsius, or minus 76 degrees Fahrenheit. Its land, about one and a half times larger than the United States, is almost completely covered by a massive ice sheet. It has 7 million cubic miles of ice holding roughly 70 percent of the world’s fresh water, yet its annual precipitation is so low that it is classified as a desert. Truly a land of fire and ice, a volcano, Mount Erebus, rises above the Antarctic landscape, its crater gurgling with molten lava. The massive ice sheet averages a mile thick with some areas towering 3 to 4 miles above the bedrock. Underneath all that ice, there are hundreds of freshwater unfrozen subglacial lakes, formed by the topography of the land, geothermal heat and intense pressure. Antarctica holds 90% of the ice on Earth in the form of glaciers, ice caps and ice shelves that reach out into the Southern Ocean. Each winter, Antarctica appears to double in size as ocean waters surrounding the continent freeze, creating sea ice that attaches to the ice shelves and shoreline. If the Antarctic is such a dry place, how did it get so frosty? For thousands of years, the annual snowfall accumulates and never melts because of the cold temperatures. As the snow piles up, the weight eventually compresses the snow into a thick layer of ice. The Antarctica ice sheet is divided into three areas, East and West Antarctica and the Antarctica Peninsula. East Antarctica is the largest of the three, sits well above sea level on solid bedrock and covers mountain ranges. The smaller western side is divided from the east by the Transantarctic Mountains. Much of the western sheet sits on bedrock above and below sea level surrounding a number of islands. It is considered a marine ice sheet and contains large ice shelves including the Ross and Ronne. The Antarctica peninsula is a ridge of mountains running north on the west side of the continent and encased within the ice sheet. In some parts of West Antarctica and the Antarctica Peninsula, the ice sheet is losing mass as glaciers and ice shelves are being pushed out into the ocean. In 2008, scientists got a wake-up call when analyzed satellite images revealed that the West Antarctica Thwaites Glacier was on the move and dropping more ice into the sea. This glacier is so big that seal level could rise 2 feet if it were to completely slide into the sea. Once in the ocean, the ice will gradually melt because of warm ocean currents and break up into icebergs. Not to be outdone, in 2017, the Larsen C ice shelf in the Antarctic Peninsula carved off an iceberg the size of Delaware. This enormous iceberg will not add volume to the sea level rise since it was already in the water. However, if the ice shelf continues to fall apart it will no longer be able to prevent inland glaciers from moving out into the sea. Researchers basically agree that East Antarctica is relatively stable in terms of loss of ice contributing to sea level rise. It is here, that studies conducted by NASA indicate that there is no net loss of ice due to the accumulation of new annual snow fall. However, studies indicate that future snow fall amounts will not be able to keep pace in mitigating the loss of ice. But global warming might not be the only player in the melting of Antarctica ice. Earthquake activity around the world is being studied to determine if far away earthquakes can provoke “icequakes” in the ice sheets that result in glacier movement. This movement can cause glaciers to reach the ocean quicker. Researchers are also trying to determine how changes in Earth’s orbit around the sun and the tilt of the Earth on its axis are affecting solar energy dispersal. Warmer waters could accelerate melting of the sea ice and ice shelves that help hold the land based glaciers in check. In an interesting study closer to home, oceanographers are studying what effect these meltwaters have on the ocean currents, specifically the Gulf Stream. It appears that as sea levels rise, the Gulf Stream is slowing down as it flows from the Gulf of Mexico to the North Atlantic. A fast-moving Gulf Stream pulls water away from the coastline, but as it slows it pushes the water into the shoreline, causing higher flood tides. A study published in the Yale Environment 360 indicates that sea level rose close to 5 inches in some areas from North Carolina to Florida during a five-year period. This extraordinary deviation from the global average was attributed to changes in weather patterns, the El Niño effect and a possibly slower-moving Gulf Stream. 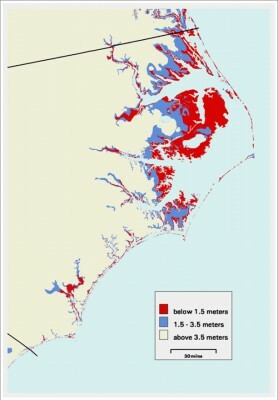 The Albemarle-Pamlico region is vulnerable to saltwater intrusion in part because of its low elevation. The red area is land that’s just 1.5 meters above sea or less. The region is also vulnerable because of its extensive drainage network, which allows saltwater to work its way farther inland. As global warming melts the ice in Antarctica, as well as the huge ice sheet covering Greenland, sea level rise isn’t the only concern. Meltwaters will disrupt and change ocean currents that dictate climate patterns around the world as well as the distribution of ocean animal species. Seasonal weather patterns, specifically rainfall, temperatures and storms, could change significantly. Scientists predict more intense hurricanes, “sunny day” high tide flooding, and saltwater intrusion that kills forests and crops. Scientists may bicker about the extent of global warming and sea level rise, but there is generally consensus that man-made climate change is occurring. Squabbling about how much rise and how fast is ongoing is what scientists do, they review new research then try to prove or disprove the findings. This is good, it helps us learn more and broaden our understanding. A lot is left to learn. A new study using satellite imagery and computer models concluded that Antarctica is melting six times faster than 40 years ago. If this type of melting continues to occur, Antarctica will contribute significantly to sea level rise for hundreds of years. Conversely, another study found that previous predictions of ice shelves crumbling into the sea are not as dire as first thought. Yet another study suggests that as marine glaciers melt, the ground under them will rebound, or uplift, enough to hold ice sheets in check, preventing them from advancing into the ocean. Meanwhile, the policymakers will cherry pick the scientific studies to support their particular narratives. Any large-scale collapse of Antarctic ice is probably hundreds of years in the future. Unless worldwide changes are made to halt rising global temperature, research predicts the melting will continue. Scientists have even discussed large-scale engineering projects on a scale unknown to mankind to keep the glaciers from sliding into the sea. We arrogantly think we can control nature, but not this time. 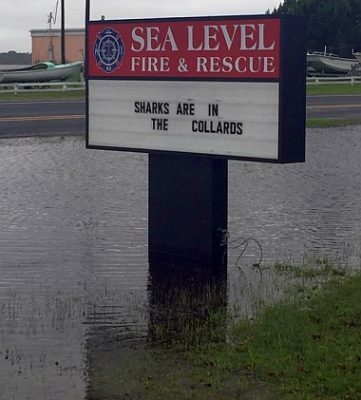 Realistic policies are needed now to address the human causes of climate change to make sure that the sharks are only eating our collards and not living in our houses.